#1 is driven by the desire to produce specific outcomes/results (manifest, attract, create reality), and the hunger for a magic bullet technique to do it reliably and on demand. #2 is driven by peeling back layer after layer of lies, illusions, and stories to reveal The Truth (The Big Truth with Capital Ts), and when that Truth is Seen and Experienced, like the old saying goes, it really does set you FREE in ways that are beyond amazing. 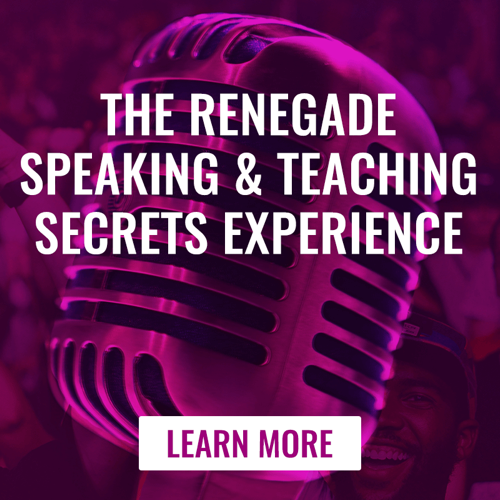 On my Journey, I ultimately discovered that #1 leads to dead end after dead end, continuing pain, struggle, and suffering, and that if you look closely and with brutal honesty, there are no magic bullet techniques guaranteed to work every time (never has been, never will be). All techniques have high failure rates if you look closely. I also discovered that on Path #1, no one, and I mean no one, ever gets everything they want or focus on. Not even close. In fact, most people get very few of the things they focus on, if you look closely at their experience of their entire life. So, is what’s generally taught about #1 True? Is it an accurate description of how things REALLY work, how reality REALLY gets created? NO! It’s not True and that’s not how life really works. If you stay on Path #1, will it ultimately take you to a place where you have everything you REALLY want, and where you see your life as being Truly happy (my definition for Truly happy is very different from most definitions of happiness), fulfilling, free from pain, suffering, and struggle? It’s possible, anything is possible, but it’s VERY unlikely, and it almost never happens from navigating Path #1. Because it’s not True or accurate, and won’t get you where you think you want to go, does that mean Path #1 is bad? Wrong? Stupid? That everyone should stop navigating #1? That #1 is a mistake or a waste of time? The Human Experience is all about experiences, about having rich, unique, extraordinary experiences that unfold over time. All that said, I later discovered Path #2. I began navigating #2. 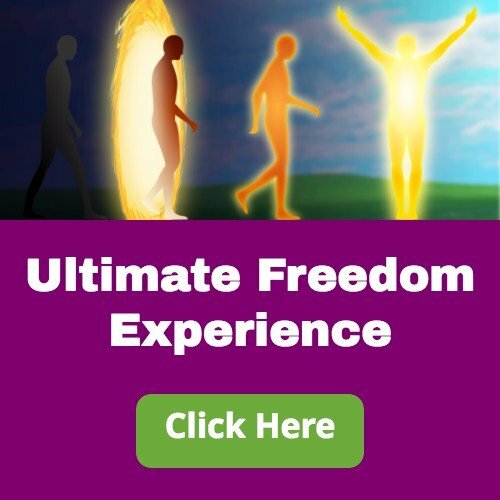 I had mind-blowing and amazing Experiences on The Journey along Path #2, on The Journey to Ultimate Freedom Awakening in my story, and after it Awakened. Every aspect of my life/story changed, down to the smallest detail. Is Path #2 “better”? No. More advanced? No. It’s just different, and it generates different experiences. Which Path is best for you? When and how? Time will tell. We’re all different and have different missions and purposes, with different timing for certain things to happen. I’m thrilled to have shifted to Path #2, and it’s my pleasure, honor, and a big part of my mission in life. to help other people shift to Path #2 and Guide them on The Journey. 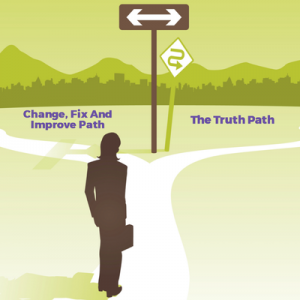 To find out more about The Truth Path and Begin YOUR Journey, click here. How would your life change if this is how you lived, all the time, without trying to or using a technique to make it happen? other bestselling books and multimedia resources. His passion is helping people bust loose from the lies, illusions and stories that limit and restrict them. 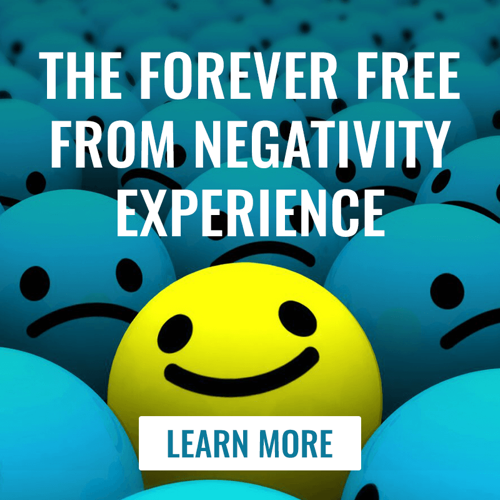 Robert's books, audios, videos, online courses, live events, and other transformational resources have helped 100s of 1000s of people worldwide to unblock their lives and Experience Ultimate Freedom.